Are you looking for a senior retirement community? As retirees and seniors increase in number with the aging of the baby boomer generation, fears and questions about your own retirement may be looming. You’ve worked hard your whole life to ensure that you have a comfortable retirement, but now that this stage of life is upon you, what do you do? Where should you go? Can you afford to keep living in your current home, or is it time for a lifestyle change that brings both comfort and convenience? Many retirees fear that their golden years will be curtailed by finances or lack of opportunity, or even failing health as age encroaches. 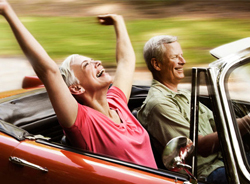 One way to combat all of these scenarios, however, is to find the right senior retirement community to suit your needs. 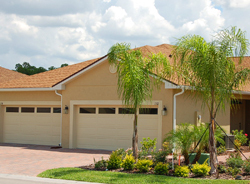 If you are looking for a community that will provide you affordable access to an active lifestyle, a community of like-minded individuals, and the ability to transition into more care as your health needs change, Vienna Square in sunny Winter Haven, Florida is the right community choice for you. 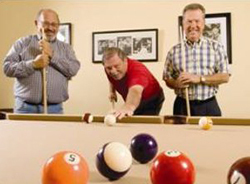 Vienna Square, founded by Century Residential, understands the need of retirees and seniors. We understand that age is both a matter of perspective and health, and that your needs can change over time. Many retirees seek a senior retirement community that offers active lifestyle options and community socialization options so that they can fully enjoy their freedom from work and the labors of long years of planning. Vienna Square caters to these needs with our 7,000 square foot community center, complete with ballroom, billiards, tennis courts, fitness center, pool, and activity rooms as well as other amenities. Centrally located in the middle of sunny Florida, Vienna Square is also conveniently located near both Florida coasts for beach access, is minutes away from Florida’s world class theme parks, and has easy access to two metropolitan areas for culture and sporting events. Vienna Square goes a step beyond the active lifestyle, however. We realize that even the most active retiree may someday need more assistance and care. We offer affordable case by case services to help you supplement your daily living needs if your health situation changes. From landscaping and exterior maintenance and repair service to daily tasks assistance, linen services, meal plans, and transportation, Vienna Square is prepared to take on your changing needs as they occur, which makes us stand out among Florida retirement communities. 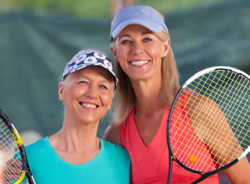 With us, you can trust that you will find the sense of community, family and support that you want out of your active — or less-active – retired years. Contact Vienna Square about our senior retirement community today.